If we told you that you could swap out that old regulation ice hockey puck with a frozen piece of cow dung, surely you’d be skeptical (and maybe a little irritated). But, did you have any idea that’s what the ORIGINAL was made of? That’s right, before there were pucks to represent your favorite team and ones that light up, the first puck was made of what you’d least expect. 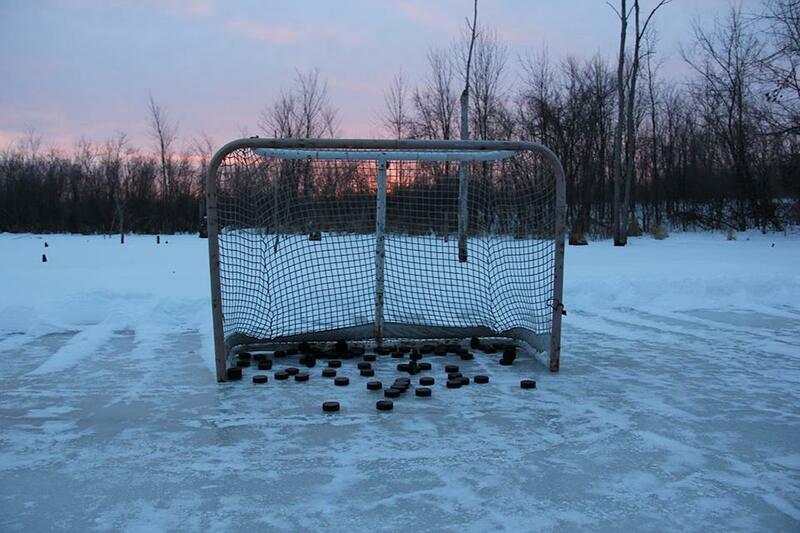 Other early outdoor pucks were made from wood and cut from the branches of trees. When they first decided to take the game inside, lacrosse balls were used. But things weren’t quite the same. Rink owners got inventive: They cut the balls in thirds, then kept only the middle section. They were called pucks for decades, but on this very day, 138 years ago, the word “puck” was first recorded in the Montreal Gazette. Hockey players way back when must’ve been some literary enthusiasts, because the puck is named after a character from Shakespeare. In “A Midsummer’s Night Dream,” Puck was a flighty and mischievous elf. We all know how flighty that hockey puck can be, sliding smoothly across the ice in all directions. Cutting up lacrosse balls wasn’t a sustainable practice to support the growth of the sport, so they needed to find a different means. In the early 1900’s, pucks were made by gluing together two pieces of used tire rubber. This didn’t work out well—the puck would often split in two and they never lasted very long. In 1940, former Hockey Hall of Famer Art Ross improved the design of former pucks by creating it out of synthetic rubber rather than natural. The edges were textured so the stick could better grip onto the puck. This puck, known as the NHL regulation puck, adds to consistency throughout the game. Today, there are three types of pucks you will find on the ice: practice (or promotional) pucks, NHL regulation pucks, and the blue puck, a lighter puck for junior play. During the beginning of the 1995-1996 season, hockey went high tech. FOX television network wanted to add interest to watching the game from home, so they created a puck that emitted different colors of light when hit at certain speeds. The light was created with a microchip, and could only be seen on television screens. Unfortunately, the players didn’t take to the puck. It didn’t glide the same as NHL Regulation pucks, and a $400 price point for something that was going to get slapped around an ice rink wasn’t very practical. 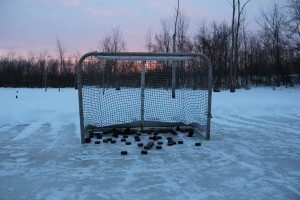 Pucks are kept frozen at all times to discourage bouncing on the ice and so the player may have better control. A team that receives their supply of pucks place them in the freezer for the course of the season. Pucks are rotated often, with the oldest pucks being used first. I found this N HL puck. 14” in the dirt. Philadelphia Area digging out a basement at the very bottom looks like an NHL symbol stephenhigins1970@ Gmail.com. 267 2662514.